Do you have a bunch of friends that you want to chat in Facebook Messenger at once? 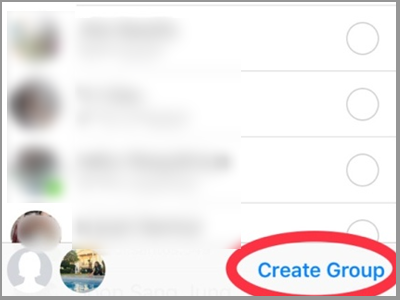 You can create a group chat on Facebook Messenger, so all of your group’s conversation is in one place. 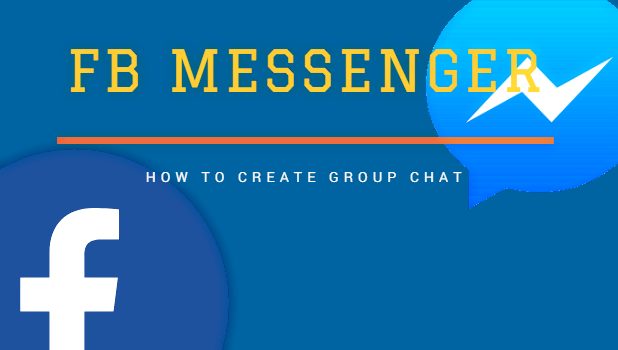 This article will discuss how to make a group chat on Facebook Messenger. Online messaging apps allow you to connect with someone even if that person is on the other part of the globe. The most popular messaging app is the Facebook Messenger app. Messenger offers real-time chats and even video calls to people who matter to you. 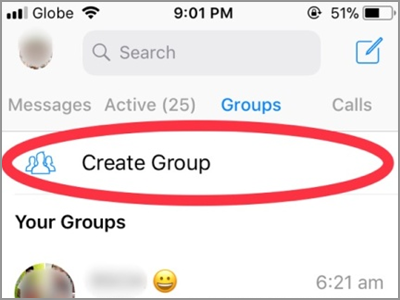 You can make a group Chat on Facebook Messenger in case you want to reach a specific group of friends. Sending a single message in the group chat will send the message to all the people who are part of the group. 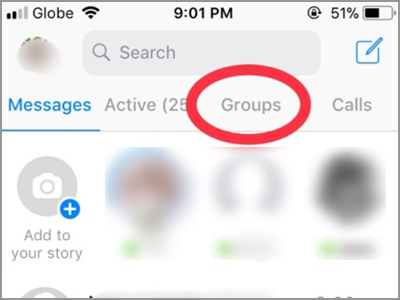 This article will guide you in creating your group chat in Facebook messenger app using your iPhone. If you are using an Android device, the steps should be somewhat the same. 1. Open your Messenger app. 2. You will be directed to your Messenger Home screen. It displays your most current conversation. Tap the Groups tab located under the Search box. 3. The screen shows you all the chat groups that you are included. Before the list, you will find the Create Group button. Tap the button to start creating the group. 4. The first thing you’ll need is to put a group name. It can be the name of your office department, company, or relatives. It can be anything that describes the group or its member. 5. A group is composed of two or more person. Select those you want to join the group. Put a checkmark in the circle beside their profile name. 6. 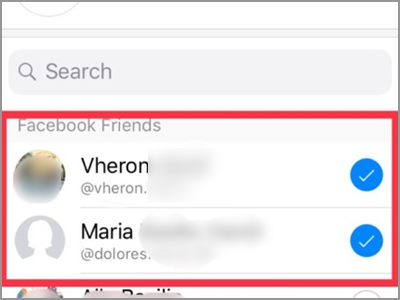 Every time you include a friend, their profile picture will appear on the bottom part of your screen. This will also serve as a reference if you happened to add a wrong person. On the same line is the Create Group button. Tap on the button after choosing your group members. Your group chat is now ready for conversation. Extra tips you can do in your group chat that will make you enjoy it more even if you are not the admin/creator of the group chat. Q: What if I forgot some friends to put on the list. Can I still add them? A: You can always add more friends to the group chat. In fact, even the members can invite and add a friend to join the group. Q: I am a member of a group chat, but it annoys me when notifications arise. Is there any way to not receive any of this? A: If you don’t want to receive any notification coming from a specific group, you can turn it off. The Facebook Messenger has the Mute Conversation option for every group chat or even for one conversation. First, choose and open the group chat. Tap the group’s name on top then click the Notifications. You will then see the Mute Conversation option immediately. Q: Can I tag someone in the group chat? How will it notify them? 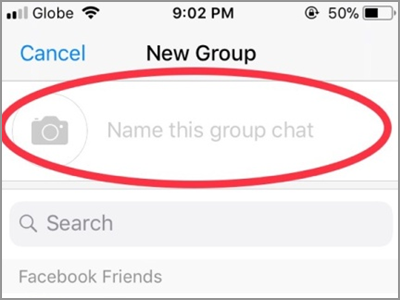 A: The Facebook Messenger app can allow you to tag or mention a specific person in your group chat. All you have to do is type the @ sign followed by the name of the person. Upon typing the very first letter of the name, the messenger will show you a list. It’s a pull-up menu with member’s name starting with that letter. You just have to choose from the list. Messenger will notify the person and will inform that he/she was mentioned. Before this new technology, who would have thought that this can be possible? Distance can only separate people physically. Connecting and reaching for them is now more satisfying and enjoyable. The Facebook Messenger never fails to do that. As long as there is an app like the Messenger, we will never be alone. You just learned how to create a group chat on Facebook Messenger. If you have questions about any of the steps above, let us know in the comments.